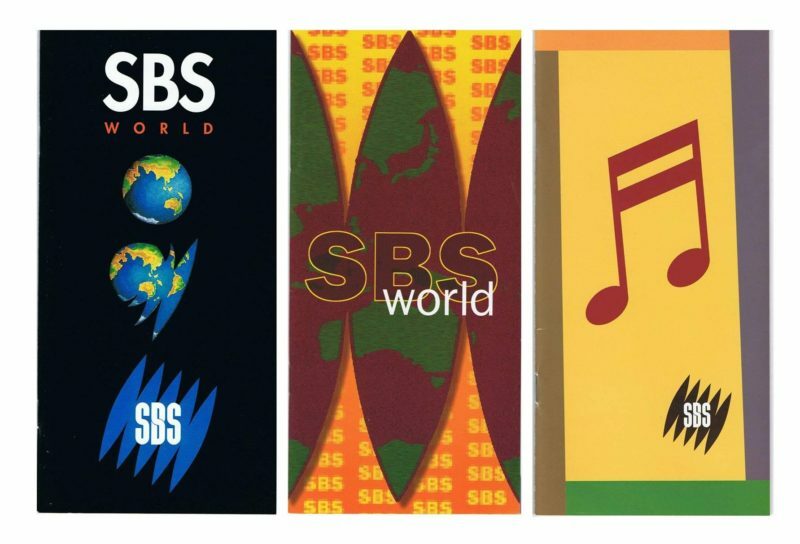 Shortly after I joined SBS Television, the organisation was rebranded under the direction of David Robinson, Director of Marketing. As part of this process, I was responsible for rebranding the merchandise operations. While these operations had been successful, they were somewhat disjointed. With David Robinson’s agreement, I set about rebranding the merchandise operations. This involved an upgrade of direct marketing activities and a stronger focus direct mail catalogues and on-air promotion. A range of direct marketing catalogues were created and promoted. These featured a unique product mix and I was responsible for the overall art/marketing direction, product mix and promotional strategies. The catalogues were promoted on-air and to the SBS database. Featuring a quirky mix of books and products, the catalogues proved very succesful. Given that sport (particularly soccer) as well as music were strong, we devoted separate catalogues to each of these categories. Designed by award-winning graphic designer Geoffrey Gifford, the catalogues complemented the new SBS corporate identity. The clean, stylised layout of the catalogues garnered a number of Gold and Silver awards at the Australian National Catalogue Awards in Melbourne, 1992-1994. The catalogues drove product sales and on-air promotion considerably increased the SBS customer database.